5 Terrible Reasons For Leaving A Job - The Highlands Co.
We believe deeply in finding a career that aligns with your whole self. Success is a result of knowing what you’re good at and aligning those strengths with the right career fit. Not only do you perform better at your job, you’re also happier doing it, because you’re operating out of strengths instead of weaknesses and you naturally feel energized and motivated to do the work you are uniquely capable of doing. As much as we champion well thought-through career changes that lead someone to a better, more successful position, we’ve also seen people jump careers for the wrong reasons. If you’re thinking about switching careers, see if any of these faulty lines of reasoning sound familiar. Reason #1: A new job will change everything. Most people spend about a third of their lives at work. That’s a lot of time! While a difficult job is draining and likely to affect every other area of your life, it’s a mistake to assume that a new job will make everything else in your life better. Take time to assess things like your values, family influences, skills, and interests, and consider what needs to be better aligned in a new position in order for it to be more fulfilling. A new job may initially improve your life, but if you haven’t carefully chosen something that is a better fit for you, you’ll eventually end up in the same place again—discontent, unhappy, and desperate for a change. This is a difficult one—we get it. It’s tempting to think that a job that offers higher pay will automatically make you happy. Who doesn’t want a nicer car or bigger home or better vacations? But if the new position is out of alignment with any part of your essential self, whether it’s goals, skills, or something else, you will encounter stress. And no amount of money will alleviate the pain of constant tension. Maybe you’re at a point in your career where you feel stuck. There are no advancement opportunities that seem appealing and you’re starting to feel like the length of time in your current position has become a liability on your resume. We don’t disagree that it might be time to move on, but simply getting a new job isn’t guaranteed to improve your situation. 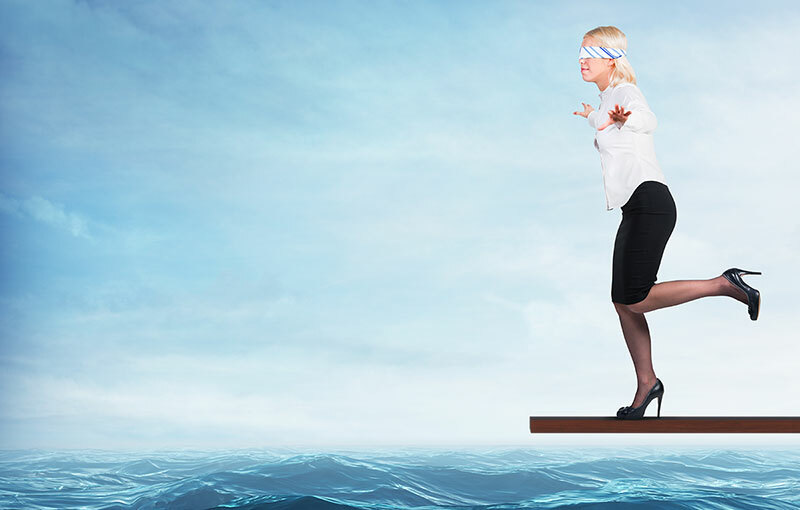 Before you jump ship, consider what you really want in a new career. It’s possible that just a small shift in your role will result in a job that is much more satisfying . . . and even lead to opportunities within your company that you hadn’t considered before. Reason #4: Anything would be better than this. That may be true for the first few weeks or months. The novelty of change has a way of distracting us and temporarily relieving stress. But if you don’t take time to consider what you really want out of a new position, you’re just delaying the inevitable. After enough time has gone by, you’ll find yourself feeling stuck again. What you want is progress, not just change. Reason #5: Someone is telling me to. Whether it’s a spouse, friend, parent, neighbor, or distant relative, there are well-meaning people in your life who are bound to have opinions about your career. And even if it’s with the best intentions, the advice that person has for you may have very little to do with your happiness. No one else can tell you what the right career is for you (including us!). There is no magic formula. Only you can make that decision. Take advice, listen to the people who love you, and be grateful for their support. But don’t switch careers just because someone else thinks it’s a good idea. Stay tuned for our thoughts on some of the right reasons to change careers—and how to go about doing it! 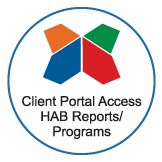 The Highlands Ability Battery (HAB) and Whole Person Model are powerful tools that have helped thousands of people take charge of their careers and navigate the ever-shifting employment landscape with confidence. Read some of their stories here.